Paragon (game, 2016). A free-to-play multiplayer online battle arena video game by Epic Games/SCEA/Sony Interactive Entertainment. Developed by Epic Games. Official Trailer. 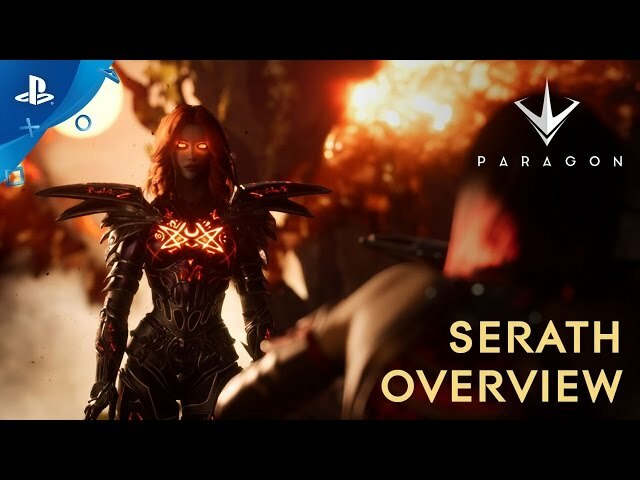 Paragon is a free-to-play multiplayer online battle arena video game by Sony Interactive Entertainment, Epic Games and SCEA, developed by Epic Games. 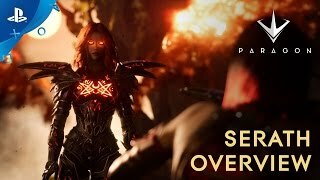 Paragon - Serath Overview Trailer | PS4. 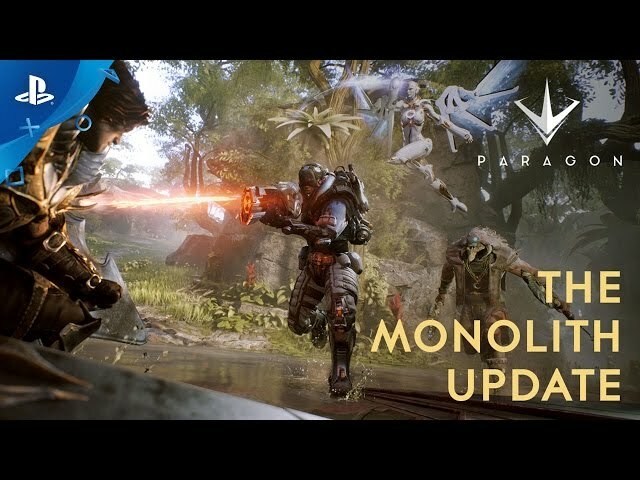 Paragon was a third-person multiplayer online battle arena video game. The maps featured in the game were symmetrical, and bases were located at the two opposite ends of a map. Players were tasked with defeating the enemy team by destroying the core in their base. They had the ability to reach their opponents' bases through the three lanes featured in each map. Each lane was protected by defensive towers that protected the bases by attacking any incoming enemies that stood within its range automatically. Lanes consisted of two towers and an inhibitor; destroying all of these allowed a team to spawn more powerful minions in that lane and directly attack the enemy core. Between lanes were jungles, inside which players could find additional resources for their teams. Jungles were separated from lanes by fog walls that players could not see other players through. In a match, ten players were divided into two teams. Each player assumed control of a "Hero." Each hero had their own basic attack and possessed a set of four abilities composed of active attacks or maneuvers or passive buffs that helped them or their teammates. Different heroes had different skills and weapons. For instance, TwinBlast, an offensive hero, primarily fires two pistols and throws grenades, while Muriel, a defensive hero, aids her allies with a shield. Heroes came in ranged and melee classes. Each hero had an ultimate ability; for example, ranged hero Murdock can fire a massive laser with infinite range. Both teams had minions, which jog toward their opponents' bases and support the heroes. Super Minions entered the lanes upon destroying the enemy inhibitors. Paragon is a third-person multiplayer online battle arena video game. The maps featured in the game are symmetrical, and bases are located at the two opposite ends of a map. Players are tasked with defeating the enemy team by destroying the core in their base. They can reach their opponents' bases through the three lanes featured in each map. Each lane is protected by defensive towers that protect the bases by attacking any incoming enemies that stand within its range automatically. Lanes consist of two towers and an inhibitor; destroying all of these allows a team to spawn more powerful minions in that lane and directly attack the enemy core. Between lanes are jungles, inside which players can find additional resources for their teams. Jungles are separated from lanes by fog walls that players cannot see other players through. 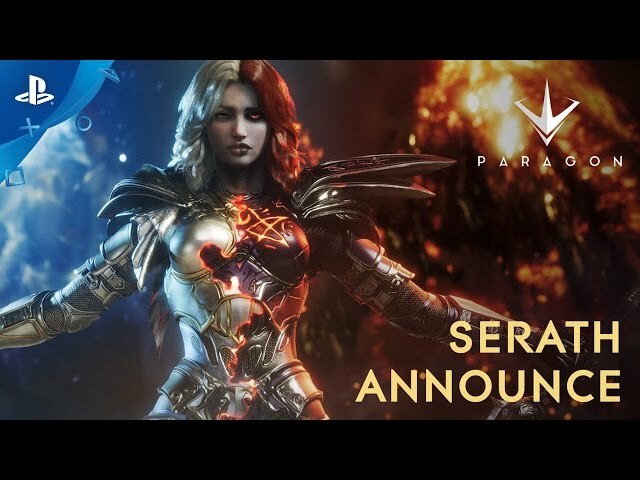 Paragon was scheduled to be released by Epic Games, SCEA and Sony Interactive Entertainment on March 14, 2016 and on August 16, 2016. This video game is available for the following platforms: Microsoft Windows and PlayStation 4.